Have a set of poly rtabs for E30/E21/Z3/E36TI/E9/E12/and early E24 from Ireland Engineering. I bought them when I was putting my car together but I already had poly rtabs in there. 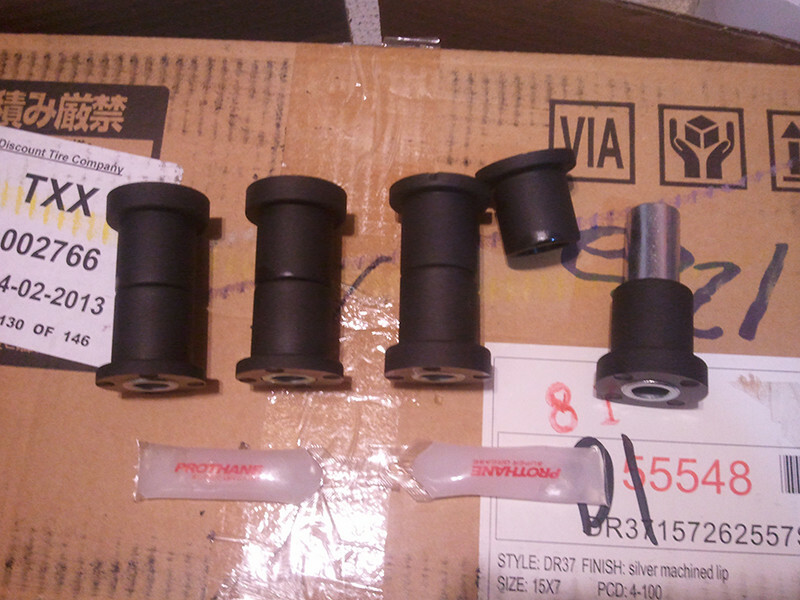 Have since purchased Condor rtabs to replace the kmac offset bushings I have in the car already. They're $62USD new from IE (+shiping+duty, etc). I'd like to get $60CAD from them. They're in London, but I'll ship them in Ontario for free.